Modifying the operating system on an Android(s goog) device has been an arcane process for years. 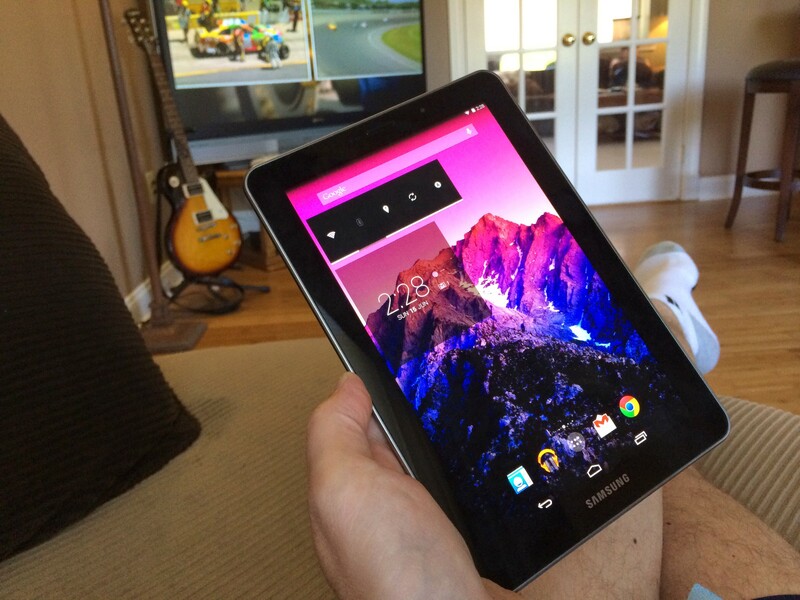 There’s a benefit to knowing the process of “flashing” your phone or tablet software, however. You can choose to flash a phone for improved performance, for example, or bring a newer version of Android to an old device. Thanks to a mobile app called Mobile Odin, it’s actually pretty easy to do for just about anyone with an Android smartphone or tablet. Mobile Odin is $4.99 in the Google Play Store and I bought it this past weekend. After just one day’s use, I found it worth every penny because with it, I was able to get a recent version of Android KitKat on the Samsung Galaxy Tab 7.7 I bought in early 2012. This tablet was the first Super AMOLED slate from Samsung, which just last week followed up with two new tablets — the 8.4- and 10.5-inch Galaxy Tab S — using the same vibrant screen technology. Samsung stopped providing software upgrades about a year ago and I wanted to install a specially built version of Android 4.4 KitKat on the tablet. Before I found Mobile Odin, the process required either Windows software called Odin or a similar app for the Mac called Heimdall. Both of these apps are used to push the new software update to an Android device by flashing the operating system. Therein lies the beauty of Mobile Odin: As its name implies, it’s a mobile app and doesn’t require a PC or Mac. The app itself can be used to flash the very device it runs on. Mobile Odin is pretty smart, too, which helps people who might be new to the flashing scene. You can flash, for example, a recovery file, which is used to modify the Android software on your device. You could change the entire version of Android or you could just flash the baseband modem software on a device. The trick is, you need to know exactly what you’re doing in the PC and Mac apps that do this. With Mobile Odin, however, you can simply choose what you want to update and the app will intelligently update the appropriate system software for you: The app won’t let you try to apply a modem file update to your recovery partition, for example. Even better is that Mobile Odin can grant automatically grant root access to your device after flashing, providing full administrator access to all of the files on an Android device. That’s handy because it can save the time-consuming step of later finding a root access program for your particular device. The software will also take the extra precaution of ensuring your device battery level is at 50 percent or higher before flashing. If your device loses power during the flash process, it could render the phone or tablet useless. Mobile Odin comes from the developer known as Chainfire, which has long been creating custom tools for Android. Before I found Chainfire’s software, my custom ROM flashing efforts were limited to when and where I had access to a computer. Now that I have Mobile Odin installed, it’s just a matter of finding and downloading new custom ROM files for my Androids because the app does all the work. I highly recommend it. You’ll need to make sure your device is compatible with your phone or tablet; the list has grown since the app originally debuted in November of 2011. For the morbidly curious, I ended up trying two different ROMs on my Galaxy Tab 7.7, made easier by Mobile Odin. The first was SlimKat, based on Android 4.4.2, which I thought was a bit laggy. I ended up installing and keeping the OmniROM version of Android 4.4.3, which can be found here; it runs fairly smooth on my thin and bright Galaxy Tab 7.7. Followed your lead…I have the Samsung Galaxy 7.7 as well. Rooted my tablet, downloaded and paid for this app…doesn’t work. How did it work for you? Hmm…. I used it with no problem to flash the recovery partition, for example. Is it just not flashing the files you want? It is important to note that MobileOdin ONLY supports select Samsung android devices. 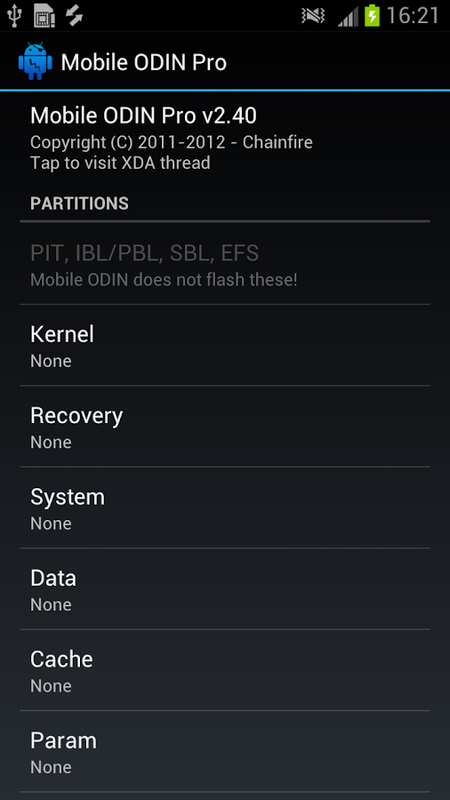 Odin itself is a proprietary flashing system for Samsung. Any chance of you providing a walkthrough guide for us timd newbies? Thanks!